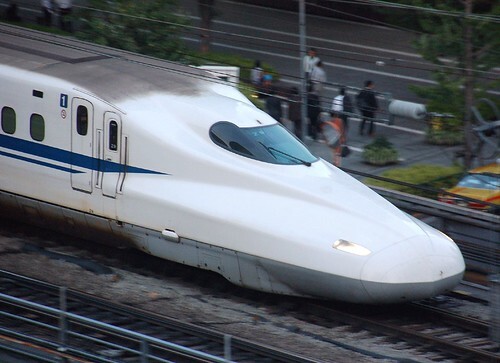 If you don't want to travel on the slower and less frequent Hikari between Tokyo and Kyot or Osaka with a Japan Railpass, or if you're unable to purchase a JR Pass, buying a discunted Shinkansen ticket valid on the Nozomi, sold at ticket shops, or 'Kin-ken-ya' in Japanese would be an optimal solution. 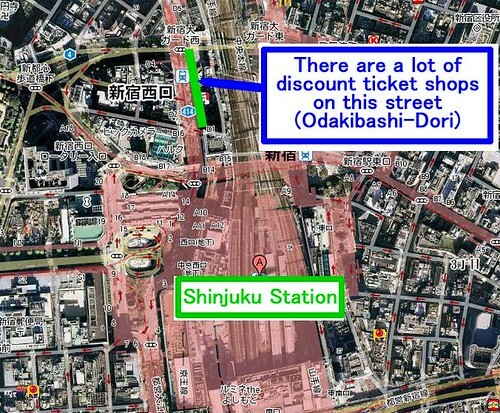 Yet please note that you can't use this kind of discount tickets during the New Year's holiday, the Golden Week and the Obon periods. After you purchase this type of ticket, you need to have a seat reservation made on it at any JR ticket counter. 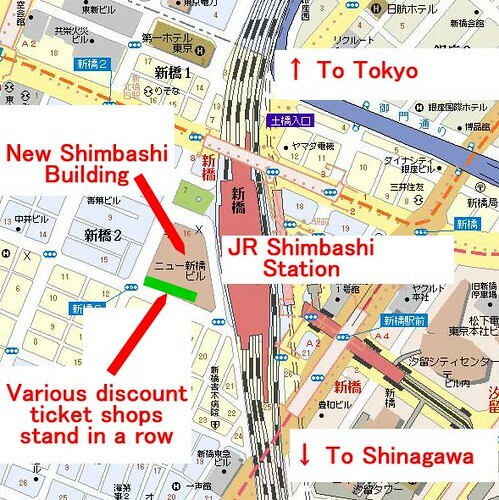 As for the convenience of Nozomi train, refer to the Japan Railpass page. 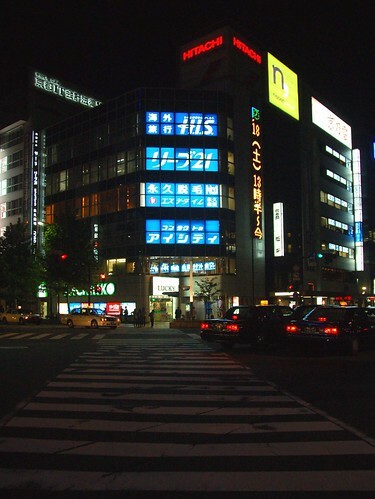 There are a lot of them also in Shibuya, Ikebukuro etc. 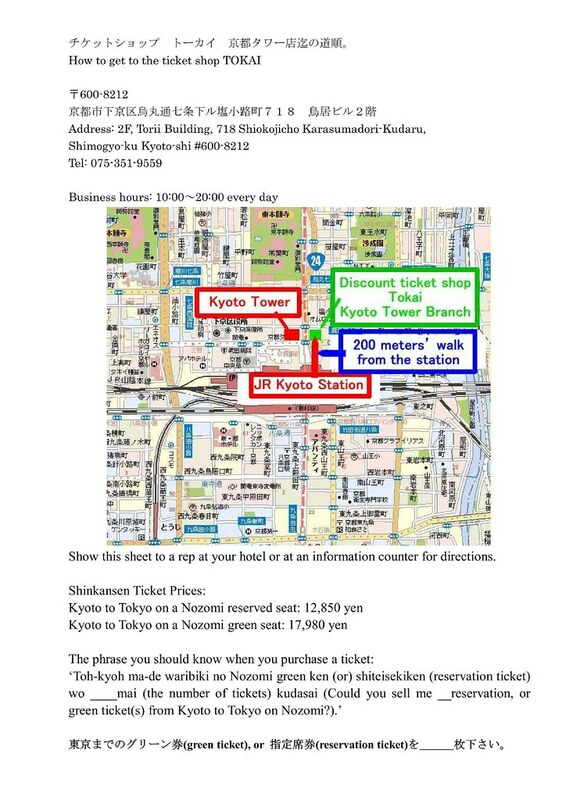 There is a ticket shop 'Tokai' very close to Kyoto Station. 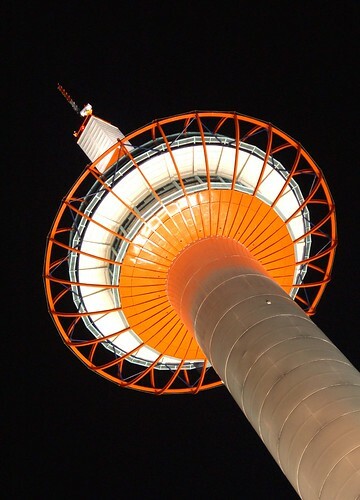 You'll see the Kyoto Tower in front before you cross the street. 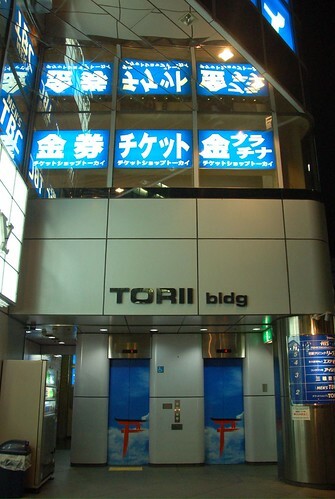 The shop is located on the second floor of this building. 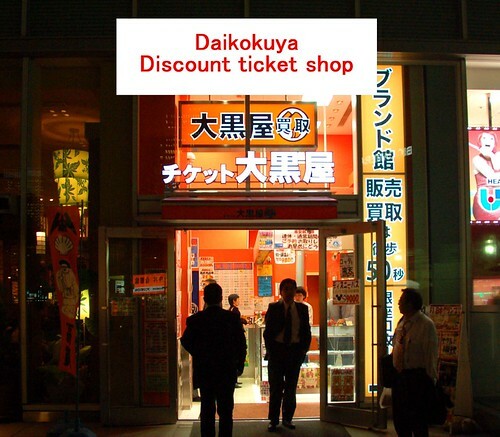 I have seen a lot of ticket shops on the Shijo Street also in Kyoto. Is there really such a disc for shinkansen? Are the vendors reliable? I'm afraid they will sell me the wrong ticket. I have a party of 5 traveling from Tokyo to Kyoto (one-way). 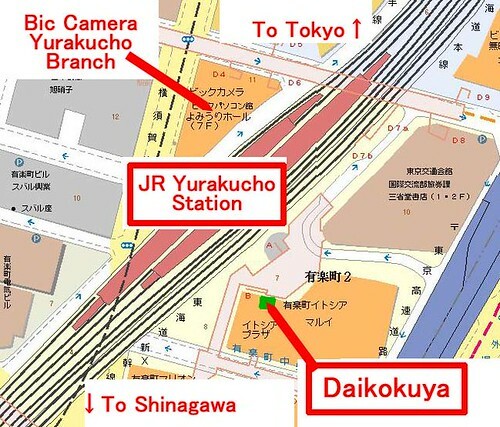 The discount may not that significant compared with the Japan Railpass which gives you unlimited travel on JR lines throughout Japan. The vendors, ticket resell shops are trustworthy here in Japan. 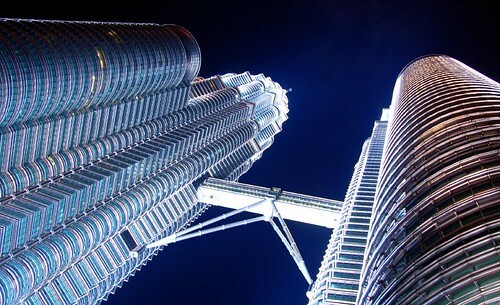 If you want to make sure you can get correct tickets by avoiding miscommunication with them, you might have details necessary to buy the tickets written in Japanese by someone at your hotel before you go to the shop. 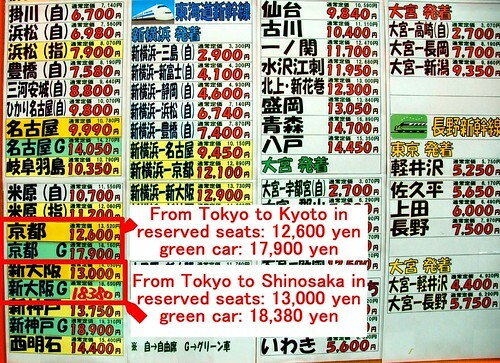 Can you get such a ticket from kyoto to Hakata on nozomi? will the 25th of august be obon festival?